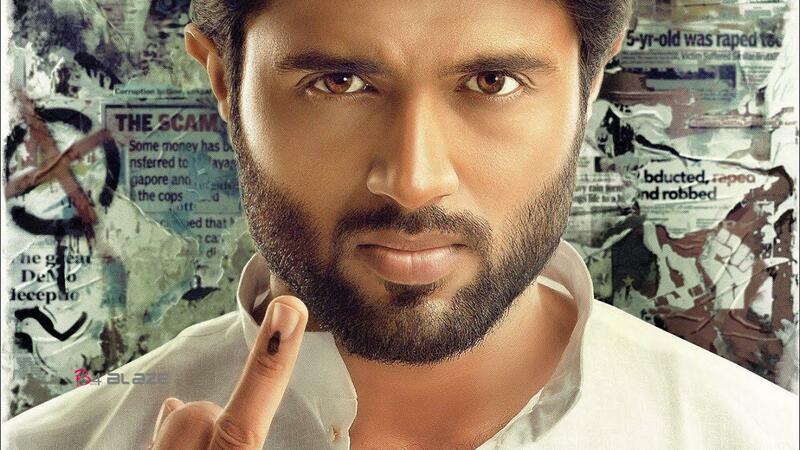 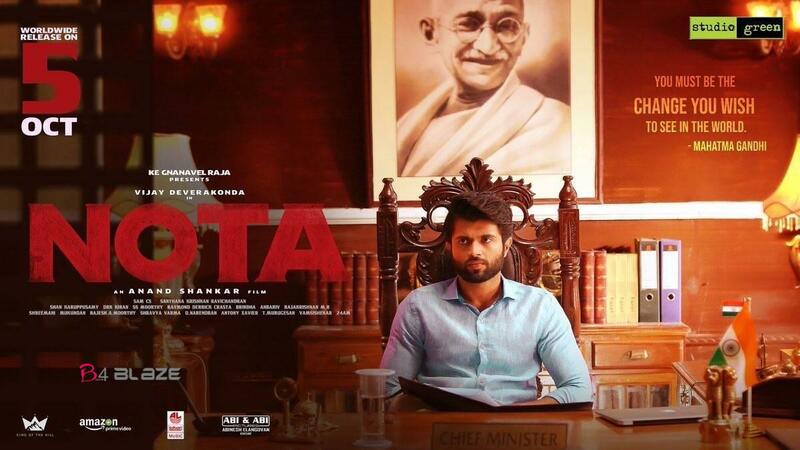 NOTA is an upcoming Indian political thriller film directed by Anand Shankar, made in Tamil and Telugu languages. 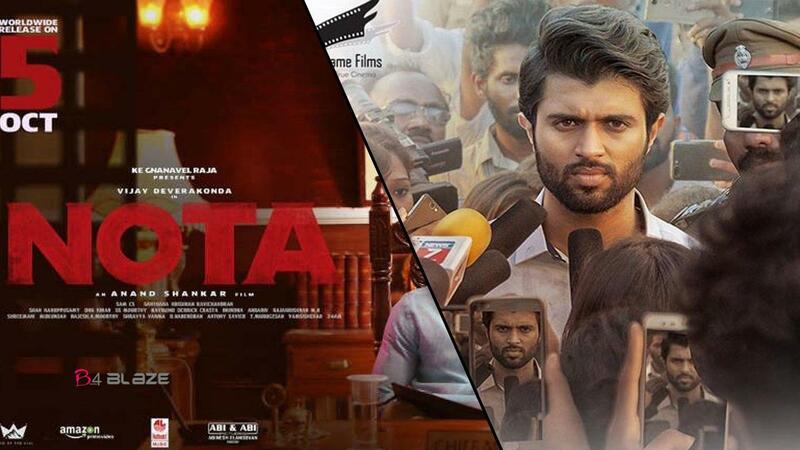 It stars Vijay Deverakonda, making his debut in Tamil cinema and Mehreen Pirzada, in the lead roles. 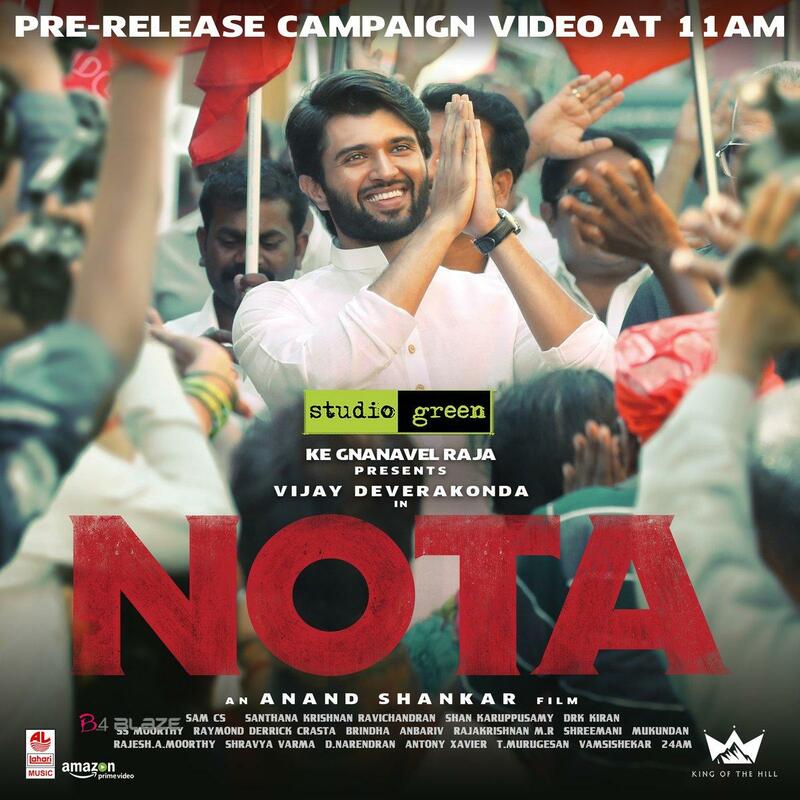 Produced by Studio Green, this film will have Sam C. S. as the music director while Ravi K. Chandran’s son, Santhana Krishnan Ravichandran handles the cinematography. 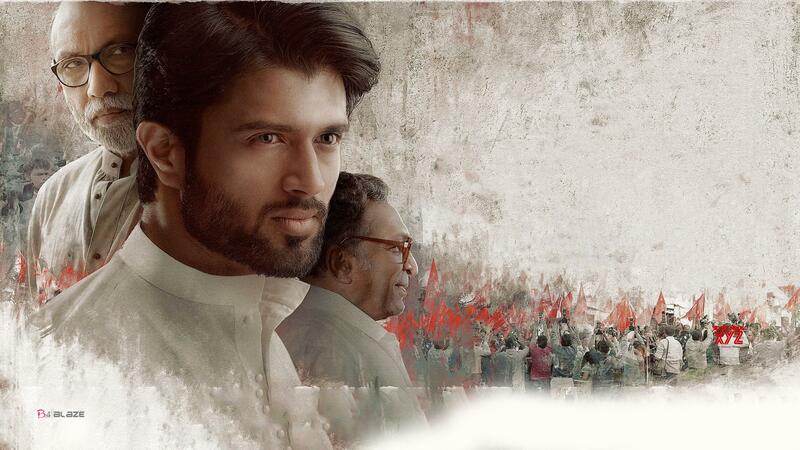 The film is planned to be released on 5 October 2018. 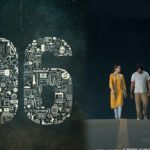 USA premieres on October 4th 2018.